In March 2016 a new Open Access Initiative was launched, to ensure that scientific literature is available online free of charge. Frank Sander, Head of the Max Planck Digital Library, explains the objectives of OA 2020 in this interview. Mr Sander, back in 2003 German research organisations started demanding that scientific and academic articles be published immediately on an open access basis. What is then so new about the Open Access 2020 initiative that was launched by the Max Planck Society in spring 2016? The new thing is that OA 2020 aims to transform the scientific publications market. It is no longer just a case of approving of Open Access in principle, but more about changing business models drastically, so that the majority of all scientific publications are freely accessible right from the very first day they are published. 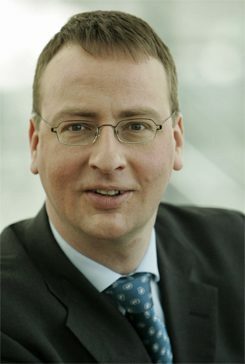 Dr. Frank Sander | Photo (detail): © Max Planck Digital Library The subscription system that has prevailed on the market up to now is to be replaced. With that system it is the user that finances the journals - through subscriptions. In future, however, for each article that is published on an open access basis it will be the publishers that are paid. That means the academic institution from which a contribution has emerged pays the publication costs. Is that financially viable? Yes, because the money is already in the system today. With the money that is now spent on journal subscriptions, all the necessary services will be provided in the publishing houses. For example, the peer review process, the editors and the actual publication. Yes. The aim is not to save money, but to change the business model. And if some financial leeway actually comes about, publishers could use it for the benefit of their customers. In a worldwide study we determined the entire cost of the publication of scientific articles on the subscription model basis. If one divides the sum by the number of articles that are published in this way, one arrives at a cost of 3,000 to 5,000 euros per article. Whereas today the typical cost of an Open Access publication is 1,250 euros. The publishers offering high-quality Open Access publications can do this at a significantly lower price than is common when using the subscription model. What role are academic libraries to play in this transformation process? The libraries can be an important driving force for the Open Access Initiative. It is after all mainly the library budgets that flow into the coffers of the publishers. Together with the researchers the libraries can decide which way they want to pay the publishers in the field of scientific journals. The budgets that libraries spend on journal subscriptions today would be gradually converted into budgets for Open Access publication fees. And of course, in future the libraries are going to have to support the researchers even more than today when it comes to the actual publishing and contractual handling of the publication. Is there a concrete plan for this transformation? All over the world there are special teams developing plans on how the transformation is to take place in all the individual countries. Both academic institutions as well as libraries are involved in the project. Talks with publishers are of course also being held. The publishers must be confident that they will also be able to generate favourable sales revenues with the new business model. No. Each publisher operates in-house processes that need to be modified. This will take several years. There is, however, also a transitional model - what is known as the “offsetting” model. The idea here is to charge subscription fees along with the regular Open Access fees. In the first five months of the undertaking more than 60 scientific organisations have signed the OA 2020 Initiative. The EU Competition Commission has called on publishers to switch to Open Access by the year 2020. How are the publishers reacting? Basically, they are open to it. Most publishers have realised that they have to deal with the issue of Open Access. In 2015, 16 per cent of scientific articles were published directly via Open Access - and the proportion is growing. In addition, there is competition within the publishing world itself. New Open Access publishers have been operating successfully with the new business model and are actually taking the bread out of the mouths of those publishing houses that are still working with the old subscription model. Some of the larger publishers have already announced that they are going to introduce an Open Access model. How do you see the role of Germany within the Open Access movement? German policy is, in this case, a little hesitant. Since the Berlin Declaration, however, the German research organisations - such as the Max Planck Society - have become absolute pioneers in the field. And with OA 2020 communication also takes place on an international level. What, in fact, can actually be achieved by 2020? Realistically, I think an 80-per-cent transformation of the market is possible. Almost all publishers have already gained some experience with Open Access publishing and are finding it increasingly easy to operate the processes required for it. The target date of 2020 has been endorsed by a sufficient number of important players, so there is a good chance that, by then, a large section of the market will have been transformed. works as free-lance publicist in Bonn. Copyright: Text: Goethe-Institut, Dagmar Giersberg. This work is licensed under a Creative Commons Attribution – Share Alike 3.0 Germany license.